Hi Friends! Welcome back to the blog. 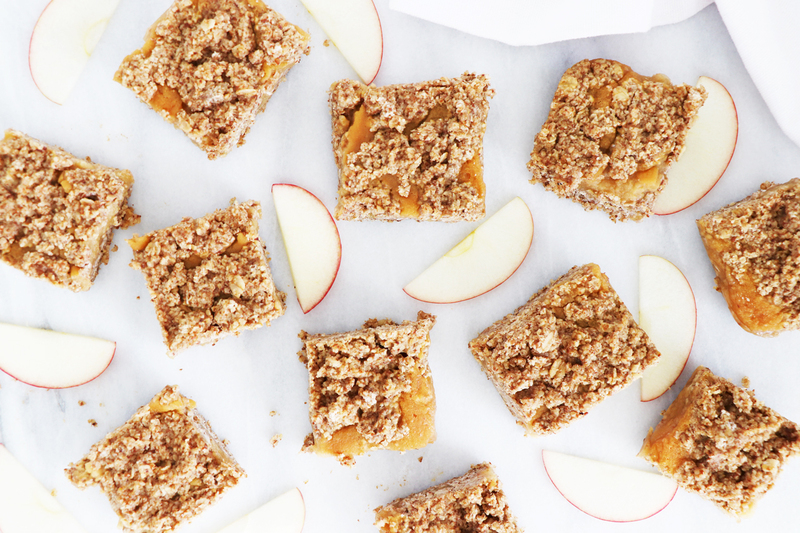 Today we’re making Baked Applesauce Bars! Growing up I loved homemade applesauce. 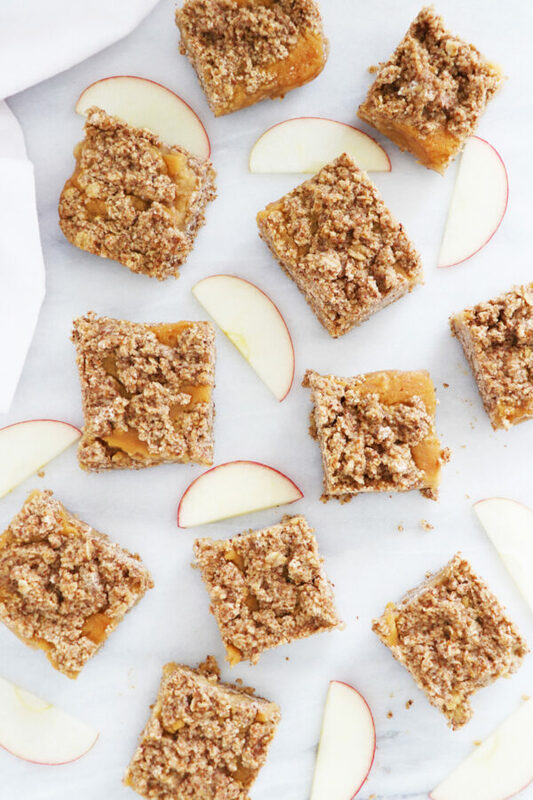 I also love homemade snack bars & this recipe combines them both! This is a great option for a busy breakfast or snack! I love to add some all-natural nut or seed butter on top of these bars for a boost of protein & to keep me feeling full even longer! This recipe is also gluten-free, vegan & contains no added sugar!! This recipe & video was also created for our client, Borton Fruit! Make sure to subscribe to their Youtube Channel which is free & a great way to never miss one of our videos! In your food processor place the rolled oats, walnuts, flax seeds, baking powder, salt, vanilla extract, coconut oil and process until you have a crumbly mixture. Evenly press about half of the crumb mixture onto the bottom of a medium baking dish. In a blender add filling ingredients & blend together & then pour over the crumble mixture in baking dish. Disclosure: Healthy Grocery Girl provides video production services & Borton Fruit is a Healthy Grocery Girl client. We love to share the work that we create for our clients! To work with us or for more information on our video production services we’d love to chat, please contact us here.